Catch up on our past newsletters here and find out about product features, company news, industry tips, latest trends, and innovations! Don't miss an update, sign up to our email list today. Are you familiar with the NEW Parker XY Monolithic Linear Motor Stage? 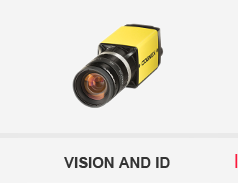 We've created a video so you can see it in action and why our customers are loving it! We're also sharing tips on Overcoming Motor Inertia - The 5 Things You Need to Know: Learn More. In this issue of Dynamic Solutions News, we've included some video resources for you, including Precise Automation Cobot with Cognex Vision and well as Lexium MDrive® with Multi-turn Absolute Encoder. Read our January newsletter to learn more. 2018 was an exciting year for Dynamic Solutions. We are very grateful for our clients, partners and vendors. Read our December newsletter to learn about about our products and how we can meet your automation goals in 2019. Happy New Year! We are proud of our innovative product offering and our long-standing partnerships with suppliers who share our commitment to total customer satisfaction. Read our November newsletter to learn more. At Dynamic Solutions, we offer a broad range of high quality, latest-technology products from globally recognized industry-leading suppliers. Our vendors manufacture the widest array of products for machine automation. Learn more. 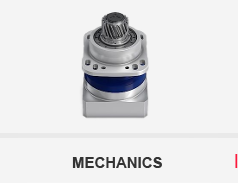 Have you heard of our powerful direct drive rotary motors designed to provide high torque and high accuracy? 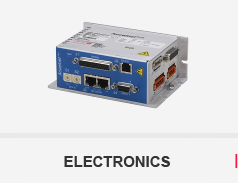 Looking for an integrated Motor + Driver + Controller + Encoder? Look no further! Our September newsletter covers this and more. Learn more. In this issue of Dynamic Solutions News, we've included a few videos and product highlights including the Precise Automation 6-Axis Collaborative Robots and Parker HMR (High Moment Rodless Linear Actuator Series). Learn more. 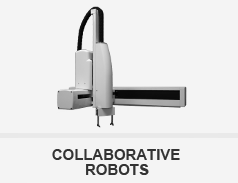 Did you know Precise Automation's inherently safe robots can be deployed without shielding and can safely work side-by-side with personnel without slowing down? Learn more.